Getting your first home can be an ordeal. Much like expecting a new child or having a wedding, this kind of event is both exciting and terrifying. Fairfax Mortgage Investments works to make the Annandale, VA home buying process less terrifying and less of an ordeal. With over 30 years of experience, we at Fairfax Mortgage Investments make sure to find the right kind of loan for you. With many loans, programs, and grants to choose from, we help sort out what you need as patiently as possible. The Annandale, VA home buying process is made easier when we’re there to help you out. So contact Fairfax Mortgage Investments today. We’ll make sure to help you get a home that will last. FHA loans are one of the most well known loans out there. They provide low down payments and interests rates that help save money. FHA loans are perfect for Annandale, VA first time home buyers looking for a good loan for the mortgage. USDA loans are approved by the US Department of Agriculture for those looking to find a home in the countryside. They provide low interest rate loans that have zero down payment, allowing Annandale, VA first time home buyers to buy the home of their dreams. Unable to properly get a good loan? A USDA loan is right for you! VA home loans was created by the Department of Veterans Affairs for soldiers, veterans, and their widows to be able to buy a house. 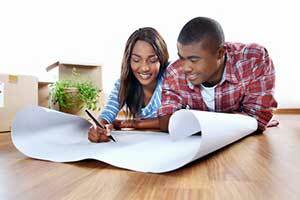 There is no down payment and no requirement for mortgage insurance when it comes to these loans. With VA loans, soldiers and their loved ones can be sure to get the home they want. FHA Section 203(k) is there to for Annandale, VA first time home buyers to buy a house that is in dire need of repair in a single mortgage. They make sure to cover the purchase or refinancing and repairing any old home with low down payment. For those looking to buy a rundown home, Section 203(k) is the right one for them. There are many programs, grants, and incentives to consider. While it may seem confusing, we of Fairfax Mortgage Investments work to find you the perfect program, grant, and incentive for you. We make sure to be with you every step of the way as we go through the Annandale, VA home buying process together. The first thing you need to do is to estimate the cost of your desired home and its housing costs, along with closing costs. Then you need to make a budget around the amount of money you need to pay. Next, find a realtor and prepare your most essential documents, such as pay stubs, bank account statements, W-2s, tax returns over the past two years, current loan and credit line statements, and the names and addresses of landlords over the past two years. After that, let Fairfax Mortgage Investments do the rest!